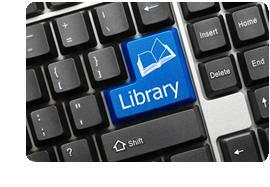 The library offers free public internet access. Daily time limits apply. For more information, click here. Wireless internet access is available for users who bring their own laptop computers. For more information, click here. Selected Microsoft Office products are installed on these computers. A network copy machine is available for printing; black & white and color printing are available. USB flash drives are available for purchase at the Reference Desk. Download the Public Computer Use Guidelines. 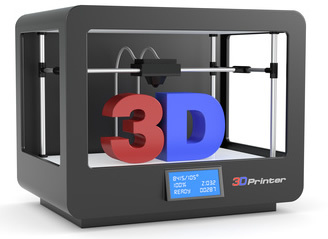 The library's 3D printer, a MakerBot Replicator Fifth Generation, is available for library patron use. The MakerBot can print items up to 10"x8"x6". It works similar to a hot glue gun - it is fed plastic filament that it melts at three times the heat of boiling water. The printer then places miniscule plastic drops where the design tells it to and then builds up the drops to create a 3D object. For printer specifications, click here. 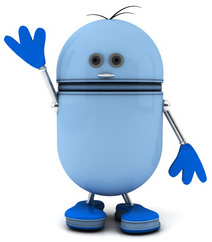 To arrange for training and schedule time to use the printer, contact Reference at 860-652-7720. Time limits and fees will apply. Thank you to the Friends of Welles-Turner Memorial Library for purchasing this printer for public use. There are 2 coin-operated, self-service copiers located in the library, one on the first floor near the main entrance and the other in the Reference area. A black & white copy costs $0.20/page; a color copy costs $0.50/page. Printing is available by logging into the library's computers using your library card number. To print from a laptop, home PC or mobile device, visit http://siteup.ocsinc.ca/site/register to register your email address. Once registered, visit https://siteup.ocsinc.ca/WTMLIB to upload a print job. Complete instructions are available at the library near the multi-function printers. A black & white print costs $0.20/page; a color print costs $0.50/page. There is a self-service fax machine located on the second floor in the Reference area (outgoing transmissions only). There is a per-page charge to send a fax. Contact Reference at 860-652-7720 for rate information. 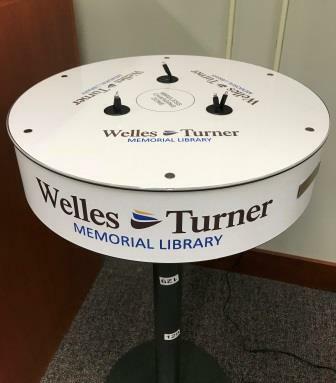 The library has two charging stations - one located by the Reference Desk on the second floor and the other in the Teen Room on the first floor. They are equipped for both Android and iOS devices. There is no fee for using the charging stations.